Before getting to the Columbus Crew and their game this weekend, I just want to get this out of my system. STOKE! What a year to really start following them. Maybe Helltown is a good luck charm for them. It's already been, arguably, their best season. Go on Stoke. Man City fans calling you knuckle dragger's is a compliment. They are scared. Scared, I tell you. Late game for Columbus at San Jose this weekend. Here are my power rankings by team thus far. It's by position as Stats, LLC has them (D, F, GK, MF). It's on a sliding scale so I'm not saying the Union is perfect in most areas, just the best. I am thrilled that the Crew are second overall. This didn't happen because I'm a fan. 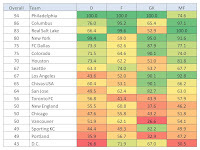 I've done this "heat map" power ranking before where the Crew was fourth. The same place the MLS (beta) has them in their own power rankings. Columbus will have to buck the trend this weekend of eastern teams traveling west to play. 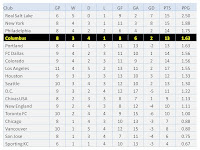 No team, east to west or vice versa, has won (0-12-12). The Crew have two almost must wins over the next couple weeks. Both are winnable. I will be recording both for bleeno's review in case he can't catch them. Sitting proudly on those nails. I took notice that shortly after my post that mentioned the Crew moving downtown a interview was done on the official Crew site on any new stadium plans with the President and GM. I also mentioned the messy stats change that happened at MLSsoccer.com to which, soon after, the MLS added Beta to their logo. My most proud connection is my player ratings. I'm using a mix of formulas used in the PL to rate. And I started near the beginning of the season. 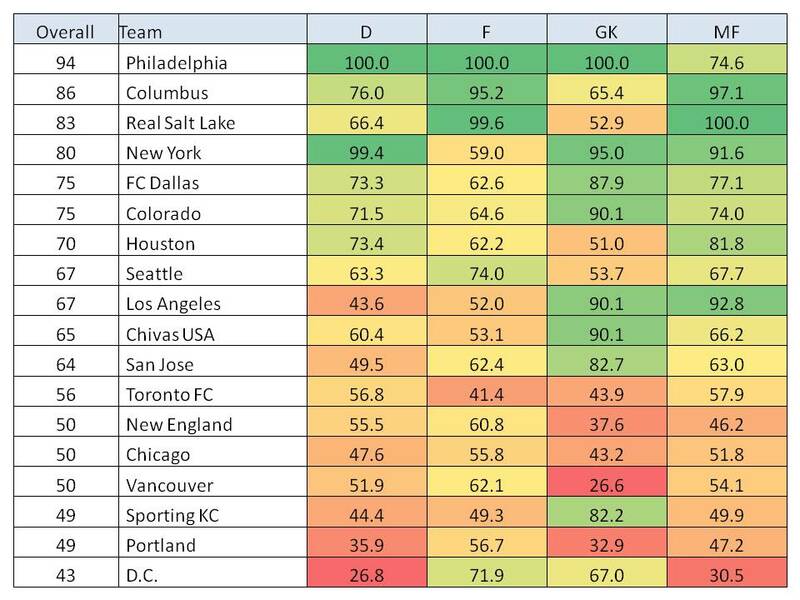 The MLS was not using any such ratings until this past week. The are now using the Castrol Index. This is a very good thing. For one, they have Landon ranked at 104. I have him at 61. But this sort of ranking doesn't make sense to some because he has the second most goals in the league. There are a couple things I disagree with in the Index ratings. The first one is how they use the 60% of minutes played each month and discount those who are under that. Like in baseball when you hear minimum of 100 at bats and the like. I'm not going to say it's lazy (the Castrol Index is anything but), but there are ways to work percentage of minutes played without using an arbitrary number to rule out players that play less. 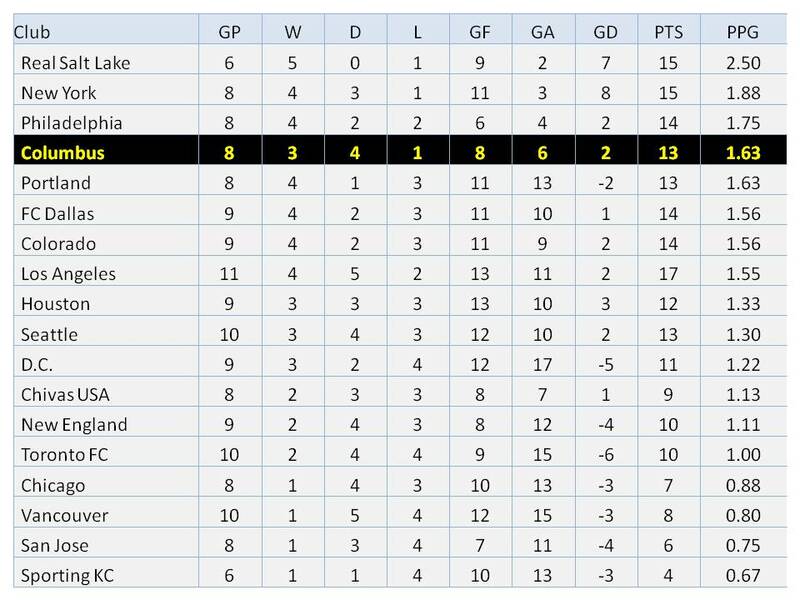 The visible representation of using a bottom floor number is manifesting itself in Steve Zakuani being ranked 2nd still. Anyhow, neither here nor there. Helltown isn't blazing a trail with thousands of readers. Just happy to be on the right track. On the pulse, so to speak. With my favorite writer and much better soccer mind; bleeno. Oh... Bleeno: Wondering if we should get Smitty in?